Theresa's Mixed Nuts: Happiness Is A Big Bowl of Fruit Salad! Happiness Is A Big Bowl of Fruit Salad! We eat fruit year round, but when summer hits, our consumption of it goes way up. We use it in more smoothies, more baking, and fresh off the limbs it grows on. 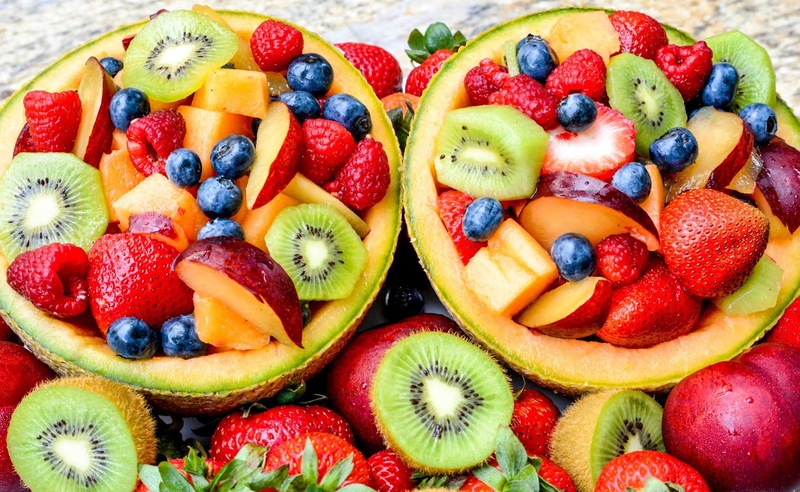 Honestly, is there anything more delicious than a big bowl of cold fruit on a hot summer day? I don't think so! When I put a bowl out on the table, it never makes it more than an hour before the family has already picked it clean. With the abundance of options to choose from, your fruit bowls never get boring because you can always toss in a new thing and voila. New flavor combination. 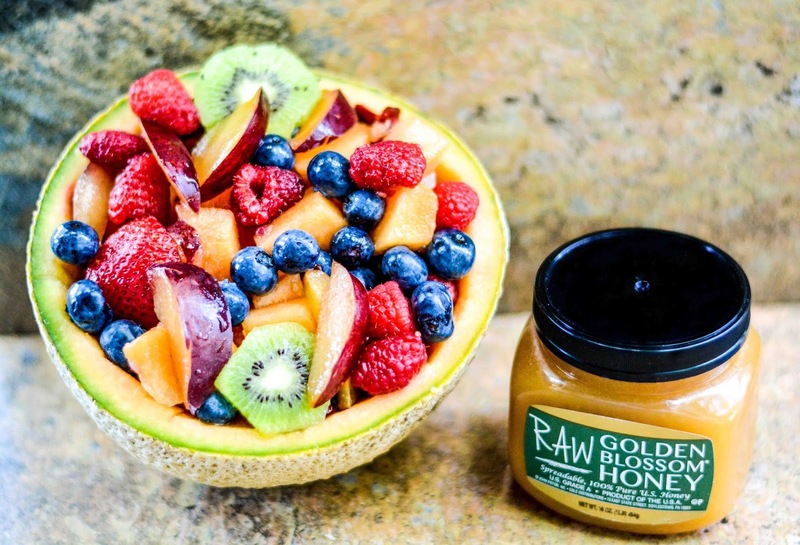 For an extra boost of sweet flavor, I like to drizzle honey over fruit, but with this Golden Blossom Honey recipe for Fruit Salad, you add in a few more spices and your bowl goes from wow, to kapow! The honey adds in extra natural sweetness and the spices give this recipe an awesome boost of flavor. This is a great dish to bring to summer cookouts, picnics, potlucks, or to eat all by yourself binge watching Netflix on a rainy summer day. 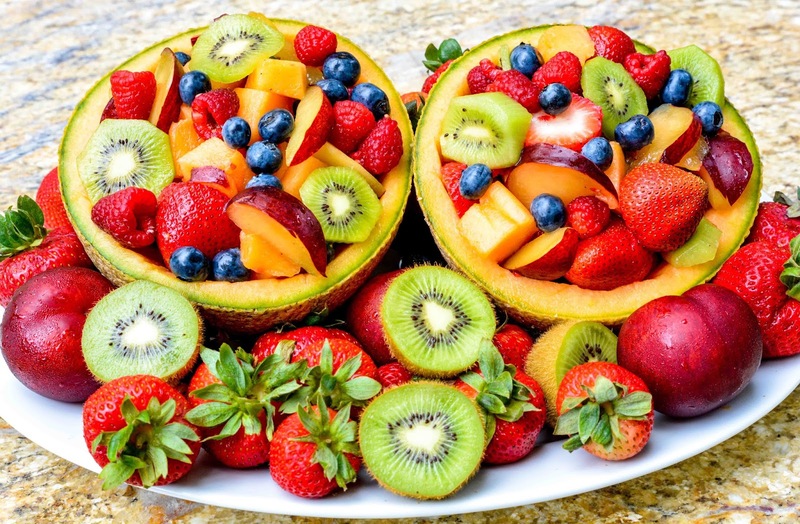 What fruits do you like to mix into your fruit bowls? Those round plums really look lovely and juicy! We don't have those in the shops, just the regular blue ones, but we had a tree in the old house. My raspberries will have a very poor yield this year, methinks, I've picked up a small cup today and don't think there will be much more. I'm gutted since last year they lasted for at least two or three weeks. Mariah doesn't like the ones I bought here, opting for eat the midnight ones instead where the centers are a deep purple hue. I'll eat them any way they come though! That's terrible about your raspberries :(How old is your bush? That's not cool about fruit messing with you :( I'd be devastated if I had to give it up! Yum! Love a big bowl of fruit salad!! Great dish to have on hot, summer days. I have to start avoiding really big, heavy, fatty meals - so I'll need to make some of this up soon. Having gallbladder surgery tomorrow (FUN!!!) Maybe I'll have some of this while I'm recovering. Yes! Good luck with your surgery! I had mine out 13 years ago. Thankfully, the recovery wasn't horrible. I hope yours is smooth! Done - the first 2 days were really rough, but I was back to work by day 5, so the recovery time was quick, thank goodness! The surgeon said there were over 100 gallstones! Yikes!! Don't know if that's the norm, or rare...but it seems like a lot to me! I love them as well! Look at all those great colors and superb tastes! I have breaking the fast with tons of fresh fruits as well, Theresa and it feels great! I can agree with you on the big fruit salad! I just brought one to my last family gathering. I put in strawberries I picked, mulberries at work that I picked, blueberries, kiwi, nectarine and banana. Most of it was gone by the end. What little was left I put in small baggies for the freezer for smoothies. The banana tends to get mushy for eating the next day. That fruit bowl is so gorgeous and fresh. I agree taking advantage of summer fruits is one of my favorite things this season. I disagree. I think happiness is a big bowl of fruit salad where the fruit is ALSO the bowl. Genius! Oh my goodness now this sounds like the most delicious fruit salad, hands up in summer I absolutely adore a good bowl of fresh fruit. That is absolutely gorgeous! I wish I had a good bowl of fresh fruit right now. That looks so yummy! This is going on the table for our next barbecue. Om nom nom nom. Fruit salad is a must for summer cookouts. This looks amazing and I love how you served it in scooped out melons. Fruit salad is love. To be honest it's one of the best ways to keep yourself feeling refreshed during the summer. I'd love to prepare a fruit salad for me and the kids! My niece is an odd little kid in that she loves and prefers fruits and vegetables over candy! I am sure she would LOVE this fruit bowl!! I've never thought about adding honey to my fruit before. I love the bowls you made!